When Lucy asked me to do Monument Farmers’ Market design, I was super excited, as I am a fan and customer. One of the best memories in our family summer is going to the farmers’ market and enjoying fresh produce at home–from snapping green beans to shelling peas to enjoying corn on the grill. 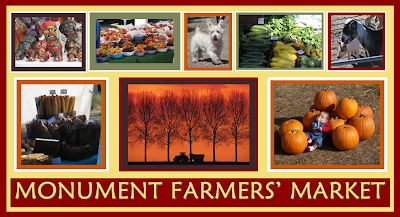 Be sure and check out Monument Farmers’ Market. And be sure and support your local farmers’ market, as well.